Dataspelsgalan (literary ‘The computer game banquet’) in Sweden has nominated Bob Came In Pieces for Best Swedish Casual Game! Yay! Ludosity will celebrate this nomination by working some more. Bob Came In Pieces is currently 75% off on Steam in conjunction with the great Treasure Hunt we’re running there! Grab Achievements and win big prizes! Boot up old Bob and get the Build me up Buttercup Achievement today or tomorrow to get an extra ticket towards the big prize lottery at the end. So if you haven’t got it yet, go grab Bob right now! This is our biggest sale yet! 75% off is like.. alot! Bob turns one and a half! Not only has Bob turned 6 months, but he’s also very close to version 1.5! We’re wrapping on the next free DLC now, and everything is moving along quite nicely. With four brand new VR Missions and a new, fun Sandbox level, Bob Came In Pieces has now a total of 25 levels, easily clocking in well over 5 hours even for the experienced player, and more likely 10 hours to play the game from beginning to end. Also new is the long awaited Gamepad support! We now have official support for Xbox 360 Controller, and any old gamepad should work really. Swedish game company Ludosity Interactive will release Bob Came in Pieces v.1.4 later in April for Windows and Mac. The new patch comes with six brand new levels, GUI updates, new graphical theme and bug fixes. Bob Came in Pieces is a puzzle adventure game about the alien Bob who has crash landed on a strange planet. 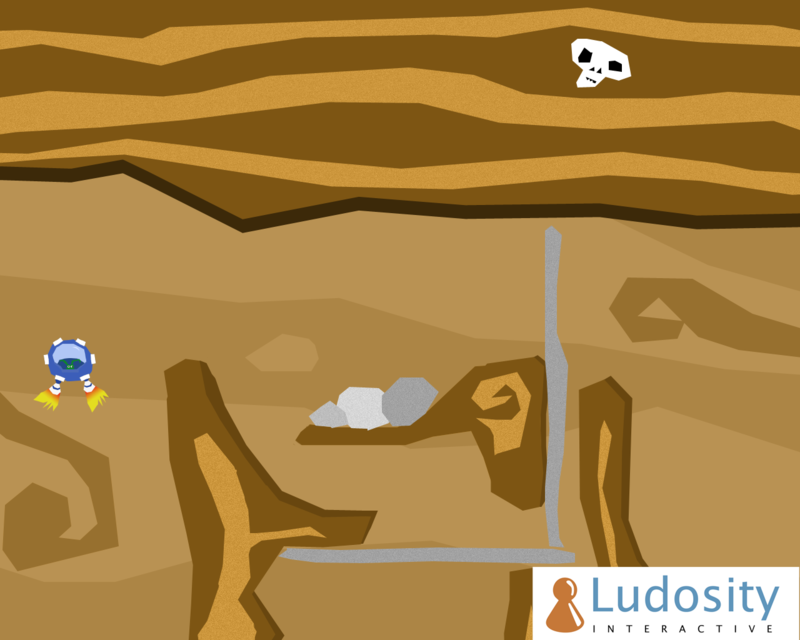 Find the lost parts and rebuild your ship along the way to solve challenging puzzles. Bob Came in Pieces is available through the major digital platforms for 9,99USD. Skövde, Sweden – April 14th. Indie game company Ludosity Interactive, the creators of Bob Came in Pieces for PC and Mac announces today that they will release additional levels for free with the upcoming patch later in April. The additional levels are created in the brand new VR-Theme inspired by Metal Gear Solid. “We have listened to the people and with this free patch we are adding six more levels and creating a better experience for everybody. In the new levels you will play Bob Came in Pieces in ways you didn’t think was possible before” says Björn Öjlert, level designer at Ludosity Interactive. The new patch for Bob Came in Pieces will be available at www.ludosity.com and the Steam users will get it automatically once it is out. Bob Came in Pieces was released 21st of January and is available for Windows and Mac for 9,99USD through the major digital download platforms. Bob Came in Pieces is a 2.5D puzzle adventure game with a lot of great puzzles and rebuilding capabilities of your flying ship. The game has unique rebuilding possibilities where you collect ship parts and modules throughout the whimsical levels.